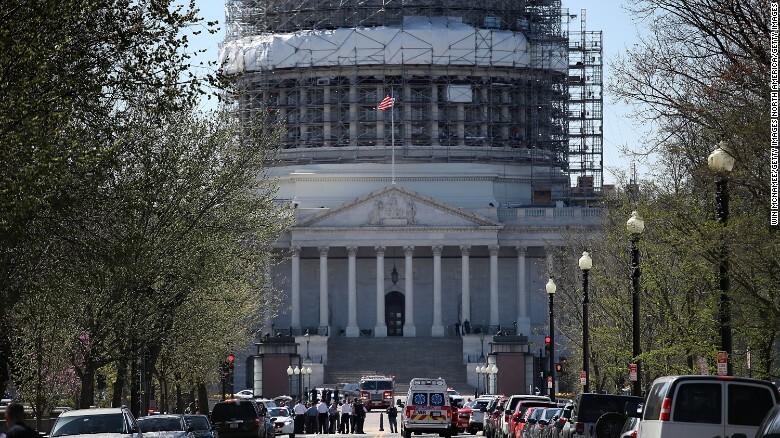 Monday, March 28, an armed man was wounded at the Capitol Visitor Center. The suspect was later taken into custody following the incident. The suspect was identified at as 66-year-old Larry Russell Dawson of Antioch, Tennessee. No other suspects were involved. According to cnn.com, Dawson attempted to enter the Capital Visitor Center and was stopped when metal detectors beeped. Security stopped Dawson, which prompted him to draw a weapon. A Capitol police officer shot Dawson. One person, a female bystander, suffered minor injuries from the flying debris. No Capitol police officers were injured. The Capitol Visitor Center was closed after Monday. The White House was also briefly closed as a precautionary measure. U.S. Capitol Police Chief Matthew Verderosa announced that the incident was “the was the act of a single person who has frequented the Capitol before.” According to usatoday.com, Dawson had been charged in an October 23 Capitol disturbance for assaulting a police officer and unlawful conduct on Capitol grounds. Dawson is now facing assault with a deadly weapon and assault on a police officer while armed charges. According to cnn.com, Dawson will appear before to the District of Columbia Superior Court after his is released from the hospital. Olivia Wilson, a graduate student at Hampton University, recalled her experiences when finding out about the Capitol incident. “I was at my internship when I found out about it. I was nervous because one of my supervisors and his family went for the Easter event. It was crazy to think that could’ve been there when it happened,” said Wilson. The incident has caused many people to reconsider visiting many of Washington’s monuments. Others, however, do not see the incident as a warning sign. “I’m not the kind of person who lives in fear. Granted, I’m not stupid, so if this becomes a constant issue then there are bigger problems than me visiting D.C. Since this an isolated incident, it doesn’t bother me and won’t stop me from visiting,” said Tyrin Ellington, a fourth-year in the five-year program from Detroit. Peter Savedge, a junior, history major from Surry, Virginia thinks the incident is an issue of gun controls and public safety. “I’m not surprised about the situation. Dangerous people unlawfully carry firearms everyday, this is just getting attention because of its location. Since it’s the Capitol, it will probably be made to be an issue of terrorism when the real issue is the need for gun control,” said Savedge.